Contrary to what many middle managers may think, moving up the career ladder isn’t steady, rung by rung. Yes, many of you have earned your current middle management position by putting your nose the grindstone, burning the midnight oil - all with a dash of social finesse. Up to now in your corporate development career path, you’ve seen a direct correspondence between your sweat and the promotions you’ve achieved. But once you become a middle manager vying for promotion, the landscape changes. There no longer seems to be a playbook you can consult to score touchdowns along your corporate development career path. In fact, sometimes playing by the playbook might lead to the opposite results you’d hoped for. Has the corporate world changed its rules? Absolutely not. 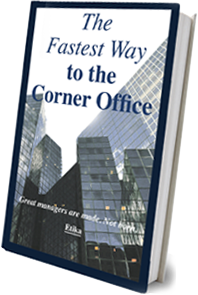 The fact is that you were never prepared for getting promoted beyond middle management. While there are many reasons you might be missing out on promotion opportunities, one major factor might be your boss. Yes, your boss. The one who can’t stop praising you for your work. The one who entrusts the most challenging projects to you. The one who gives you stellar performance reviews. So how could this be? I’ll tell you: you’ve probably never had “the talk” with your boss - the one that lays out very clearly your aspiration to be promoted to a senior position. Unless you have this talk, you’ll never be a serious candidate for promotion. So what can you find out in such a talk? There are many things, but I’ll concentrate on three key areas and make some suggestions along the way. 1. You don’t have transferable skills. True, your boss thinks the world of you when it comes to doing your job. But they haven’t seen how you’d handle situations you’re not familiar with. Do you always focus on the financial side of things, shying away from the marketing one? If so, your boss might have made the decision that you’re contributing to your company in the best way possible - just where you are. If you think you’re being sold short, tell your boss that you’d like to pitch in when new projects come up. Show them that there’s more to you than what they’ve seen so far. But if you really are limited to a core skill, make it your business to expand your horizons. Take a night school course, read books by business leaders, research online resources, or consult an expert. Remember that with each promotion, you’ll need even more skills. This might come as a shock to you, but if you’re indispensable, you’re actually in trouble. Yes, you could take it as a compliment that your boss can’t get through the day without you right at their side. Or that new projects can’t even begin while you’re on vacation. So think about what disasters could occur if you were to actually be promoted? And what kind of boss would want to bring that to themselves? Take things down a notch so that you’re not the go-to person for everything. Begin by sharing your tasks with others, guiding them along the way. 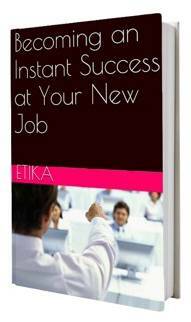 Or train a co-worker in your super efficient methods for getting things done. While this might be unnerving at first, remember that you’re doing this for a reason: to strategically free yourself from being indispensable. 3. You think you’re the one in control. Being so good at your job, you know that others don’t hold a candle to you. So, maybe without meaning to, you give off an aura of superiority to fellow workers - perhaps expressed through a little too much self-confidence. Your boss, while appreciating your competence, feels this and is actually a bit threatened by it, though they might never admit it. The only thing they can do to counter this feeling is to keep you in check by ruling out any possibility of promotion. Lower your profile. Notice when you find yourself jumping into conversations to give your two cents - and take a step back. This will allow others to show their expertise and earn recognition for it. When you’re asked for your opinion, limit the time you allow yourself to talk. This will ensure a short, general answer - rather than an expert lecture. Holding back might be difficult, but your goal is to show that you don’t present a threat to your boss. Getting that promotion once you’ve reached middle management is much harder and more complicated than the promotions you’ve successfully achieved so far. By talking with your boss openly, you’ll realize there’s much more to consider than your professional competence. 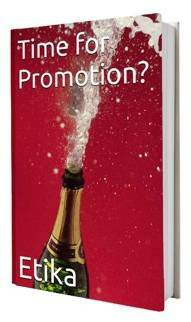 But with careful, strategic preparation, you’ll be planning your own promotion in no time.